Investors can be forgiven for thinking they hit the trifecta last Friday. The U.S. Bureau of Labor Statistics reported that unemployment had dropped to 3.9%, the lowest in almost 20 years. The Federal Reserve Bank of Atlanta reported that its widely followed GDP forecasting tool was showing projected growth for the second quarter of 2018 at 4%, exactly where Trump boosters like Larry Kudlow said it would be. The fact is that this good news hides more than it reveals. A look behind the numbers discloses a sobering outlook for investors. Let’s start with the employment report. The U.S. Department of Labor, Bureau of Labor Statistics report dated May 4, 2018, showed the official U.S. unemployment rate for April 2018 at 3.9%, with a separate unemployment rate for adult men of 4.1% and adult women of 3.7%. The 3.9% unemployment rate is based on a total workforce of 160 million people, of whom 153 million are employed and 6.3 million are unemployed. The 3.9% figure is the lowest unemployment rate since 2001, and before that, the early 1970s. The average rate of unemployment in the U.S. from 1948 to 2018 is 5.78%. By these superficial measures, unemployment is indeed low and the economy is arguably at full employment. Still, these statistics don’t tell the whole story. Of the 153 million with jobs, 5 million are working part time involuntarily; they would prefer full-time jobs but can’t find them or have had their hours cut by current employers. Another 1.4 million workers wanted jobs and had searched for a job in the prior year but are not included in the labor force because they had not searched in the prior four weeks. If their numbers were counted as unemployed, the unemployment rate would be 5%. Yet the real unemployment rate is far worse than that. The unemployment rate is calculated using a narrow definition of the workforce. But there are millions of able-bodied men and women between the ages of 25–54 capable of work who are not included in the workforce. These are not retirees or teenagers but adults in their prime working years. They are, in effect, “missing workers.” The number of these missing workers not included in the official unemployment rolls is measured by the Labor Force Participation Rate, LFPR. The LFPR measures the total number of workers divided by the total number of potential workers regardless of whether those potential workers are seeking work or not. The LFPR plunged from 67.3% in January 2000 to 62.8% in April 2018, a drop of 4.4 percentage points. If those potential workers reflected in the difference between the 2018 and 2000 LFPRs were added back to the unemployment calculation, the unemployment rate would be close to 10%. Of course, there are limits to labor force participation. Some potential workers suffer chronic pain or other disabilities, some are retired, some are students, some are at home raising children. Those are reasons why the LFPR has never been much over 67% since the data have been recorded. But the drop in LFPR to 62.8% in the ninth year of an economic expansion is stunning. America has a missing workers problem that accounts in large measure for the slow growth, persistent low inflation, stagnant wages, declining velocity of money and social dissatisfaction that have characterized the U.S. economy since the end of the last recession in June 2009. American labor markets are not tight. America is not even close to full employment. America is in a depression. That’s one reason why wages have been stagnant despite declining unemployment rates. Another serious problem is illustrated in Chart 1 below. 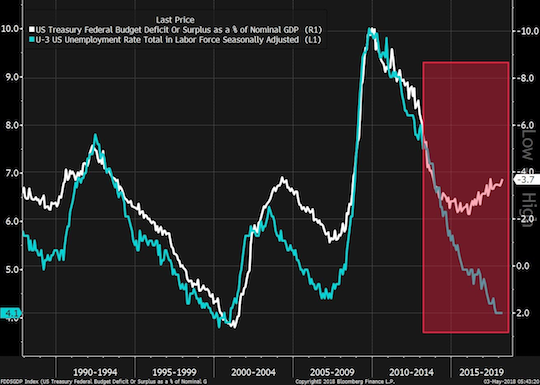 This shows the U.S. budget deficit as a percentage of GDP (the white line measured on the right scale) compared with the official unemployment rate (the blue line measured on the left scale). From the late 1980s through 2009, these two time series exhibited a fairly strong correlation. As unemployment went up, the deficit went up also because of increased costs for food stamps, unemployment benefits, stimulus spending and other so-called “automatic stabilizers” designed to bring the economy out of recession. That makes sense. But as the chart reveals, the correlation has broken down since 2009 and the two time series are diverging rapidly. Unemployment is going down, but budget deficits are still going up. That’s unusual because normally when unemployment drops the economy is getting stronger, benefit spending drops and the budget deficit shrinks. In effect, America uses the good times to save for a rainy day (or at least tries not to spend as much as when it’s raining). This is good evidence that the economy is not nearly as strong as the low unemployment rate indicates. That’s because of the army of 10–15 million “missing workers” described above, many of whom are receiving benefits in the form of disability payments, early Medicare, food stamps or rental assistance. Instead of shrinking rapidly, these payments are stuck at near-recession levels. It’s also the case that past deficit spending has now caught up with the U.S. The debt-to-GDP ratio is over 105%. Research shows that any debt-to-GDP ratio over 90% results in slower growth instead of faster growth when you pile on more debt. The U.S. is no longer getting any bang for the buck from deficit spending. We’re just going broke faster. As for the Atlanta Fed GDP estimate of 4% for second-quarter growth, that’s a statistical quirk based on the methodology used by the Atlanta Fed. It’s not that the number is bogus, it’s just that the measures suggesting stronger growth are reported earlier in the quarter and those suggesting weaker growth are not available under later in the calendar quarter. This means the estimates start high but come down to Earth as the quarter progresses. The Atlanta Fed GDP estimate is useful but you have to know how to interpret it. In the first quarter, the estimate showed 5.4% growth but declined to 2% by the end of the quarter. (The actual reported growth was 2.3%, not too far from the Atlanta Fed estimate). The same thing is happening again. I expect Atlanta’s number to decline from 4% today to 2% by mid-June, near the end of the quarter. That’s the same-old, same-old weak growth we’ve had since 2009. Nothing to write home about. As for that stock market rally, it’s a temporary blip. Investors should be reminded that the stock market peaked on Jan. 26, 2018, and is down about 10% since then notwithstanding occasional one-day rallies. The market has traced out a series of “lower highs” after each rally. That’s a sign of a dying bull market and more declines to come. So don’t believe the TV happy talk. Rigorous analysis of employment, debt, deficits, growth and stock markets reveals a dismal picture. Investors should lighten up on equities and increase their allocations to cash and gold. Events will probably get worse from here. James Rickards forecasts a grim future in which he sees both China and the United States entering into a full out currency war. Perhaps this has already started and perhaps there is now no turning back? Who will win, both sides have their leverage and both sides have their moves to make. This will not end well however, for either side. War is upon us, the currency wars are here. Jim Rickards is a lawyer, investment banker and economist with over thirty years’ experience in capital markets. He is currently Senior Managing Director at Tangent Capital Partners LLC. He advises the Department of Defense, the U.S. intelligence community, and major hedge funds on global finance, and served as a facilitator of the first ever financial war games conducted by the Pentagon. I’ve been warning about a coming government crackdown on bitcoin for several months, and now we’re seeing it happening around the world. From China to Japan to South Korea and here in the U.S., the regulators are closing in on bitcoin. And all those who thought their bitcoin was invisible to the IRS are getting a rude awakening these days. Bitcoin was the classic bubble. Market bubbles are nothing new. In the 17th and 18th centuries we had the Dutch tulip bubble, the French Mississippi bubble and the U.K.’s South Sea bubble. The 19th century saw bubbles in canal building (1830s), gold (1869) and railroads (1890s). In the 20th and 21st centuries we have seen bubbles in Florida real estate (mid-1920s), stocks (late 1920s), dot-coms (2000) and mortgages (2007). All of these episodes of investment mania crashed, causing enormous losses for investors. As always, some investors got in early and got out before the crash and walked away with their winnings. But most did not. Analysts should remind themselves that those bubble winnings of the lucky few represent not wealth creation or rewards for hard work, but a simple wealth transfer from a mass of latecomer losers to a lucky few winners. That’s hardly a desirable model for finance in particular or society as a whole, not least because the end result destroys confidence in markets and retards normal financial functions for a full generation. The latest bubble, of course, is bitcoin. Last December as bitcoin was making its way higher from $8,000, I said that bitcoin might go to $20,000 (it did), but that it would surely come crashing down sooner rather than later. I based this forecast on a Nasdaq chart showing the dot-com bubble of 1996–2000. The hyperbolic rise in the price of bitcoin and dot-com stocks was a close fit, which made the subsequent crash easy to see coming. Now that bitcoin has crashed more about 70% based on recent lows, the resemblance to the Nasdaq dot-com episode is even more dramatic. The biggest difference is that the bitcoin rise and fall happened 15 times faster than the Nasdaq collapse. A projection of bitcoin at $2,000 is easily justified. My own projection is much lower, but either way economic historians will look back on the bitcoin episode as the greatest bubble since the Dutch tulip bubble, maybe greater. At least with the tulip bubble, the last investors got to keep the tulips. With bitcoin, investors will end up with nothing. Goldman briefly flirted with cryptocurrencies but eventually came around to the view that cryptos like bitcoin suffer from too many problems. All of the cryptocurrencies that rely on clunky “proof of work” to validate their blockchains, such as bitcoin, are heading for the scrap heap. They are too slow, too cumbersome and too expensive to compete with Visa, Mastercard and PayPal in the payments space. The only use case for bitcoin is to support criminal transactions, and even criminals have moved to some other cryptos because they have better security and privacy features. 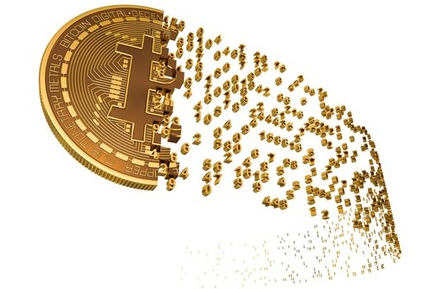 Bitcoin also suffers from slow processing times and other inefficiencies. Goldman’s assessment is mostly right. However, some coins will survive. And as I’ve argued before, blockchain technology has a bright future. Goldman also admits that blockchain technology has a future, but caution is indicated because processing speeds are still not as fast as existing systems. The bottom line is don’t invest in cryptocoins but invest in blockchain technology instead. The World Wants Its Gold Back From the U.S.
We’re all familiar with the so-called “run on the bank.” It usually begins quietly with just a few depositors getting nervous about the solvency of the bank. They line up to get their cash out before the bank closes its doors. Soon the word spreads and the line gets longer. The bank projects an air of confidence and gives cash to depositors who request it as long as they can, but pretty soon the cash runs out. The classic image of this is the scene from the Christmas-season film It’s a Wonderful Life, with Jimmy Stewart. We’ve all seen it. Now something similar is happening at the Federal Reserve Bank of New York. What’s different is that the run on the bank involves gold, not cash. The New York Fed will never run out of cash because they can print all they need. But they could run out of gold. Until recently, the New York Fed had about 6,000 tons of gold stored in its vaults on Liberty Street in Lower Manhattan. Contrary to popular belief, the gold stored there does not belong to the United States (the U.S. gold is stored in Fort Knox and West Point). The Fed gold belongs to countries around the world and the International Monetary Fund. Beginning a few years ago, central banks demanded the return of their gold to their home countries. Germany was the most prominent example, but there were others, including smaller holders such as Azerbaijan. The process is difficult because the Fed bullion consists of old bars, some stacked up since the 1920s, that don’t meet today’s standard for purity and size. This doesn’t mean the gold is bad, just that the bars have to be melted down and re-refined to meet the new standards. Now, one of the largest holders, Turkey, is reclaiming its gold also. Turkey has had 220 tons stored in the U.S.
And Turkish President Recep Tayyip Erdoğan has recently suggested that international loans should be made in gold instead of dollars. With the dollar the world is always under exchange rate pressure. We should save states and nations from this exchange rate pressure. Gold has never been a tool of oppression throughout history. Meanwhile, Russia and China continue to amass gold. The gold stash in New York is dwindling and global behavior is coming to resemble a run on the gold bank. Skeptics claim not all of the gold is there. My own view is that New York does have the gold, although a lot of it may be leased out to support gold price manipulation by the big banks and China. Either way, we may soon find out if New York has to shut its gold doors just like any other insolvent bank. And we may also find out how much patience the world has left with the dollar. 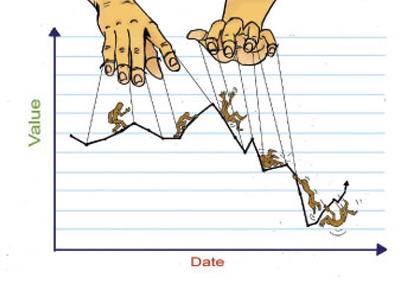 James Rickards: Financial Meltdown Just Around The Corner? Jim Rickards: A Fed Governor Actually Told Me "We Don’t Know What We’re Doing"
“We don’t know what we’re doing.” That’s what one Fed governor recently told investor and bestselling author Jim Rickards at a small private dinner. This Fed official continued saying, “We try stuff, and if it works, we do a little more. If it doesn’t, we back off and try something else. We don’t know what we’re doing.” It’s a pervasive feeling among central bankers, Rickards says. In the video excerpt above, from a broader interview with Hedgeye CEO Keith McCullough, Rickards describes the hubris of central bankers tinkering with their economies. “The problem with all this activism is that it creates uncertainty, and the capital goes on strike,” he says. “That’s the situation you’re in today.” When Jim Rickards speaks, investors listen. He is currently an economic adviser to the Department of Defense and U.S. intelligence community. Rickards brings all of this past experience to bear in the interview above with McCullough.